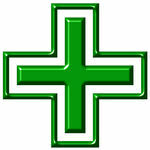 Anchor Pharmacies operate under a pharmacy and drug store industry. They came into being as a private undertaking, in 2011. They offer excellent service to provide home health care equipment's. Apart from crucial medicines, several life-supporting equipment's are also available at the pharmacy and medical supply store, like wheelchairs, CPAP machines, electric controlled lift cars and many more. Corporate office is located in the region of Hampstead. During the financial year of 2011, they have incurred $400,000 as total revenue. In addition to this, they even offer various specialized service such as, compounding and customized dosing of medication, free delivery of medicine and other medical equipment's (locally) in emergency cases etc. There are currently 0 consumer reviews about Anchor Pharmacies available. Share your review. Please take a note that you are about to post a public review about Anchor Pharmacies corporate office on CorporateOffice.com. This review will be public, so please do not post any of your personal information on this website. If you would like to contact the corporate offices of Anchor Pharmacies, please use their contact information such as their phone number, website, and address listed above to contact them. However, sometimes staff from Anchor Pharmacies headquarters do read the reviews on this website.